When retail chains run national campaigns, their locations in some geographical areas get left out in the cold—or uncomfortably in the scorching sun, if they happen to be located in the American Southwest. First Cup, a Dunkin' Donuts franchisee company in Phoenix, knows the feeling when it comes to the quick-serve brand's efforts on Twitter. "With our heat, we don't really want the same messaging they are using back East during certain parts of the year," Alex Apodaca, COO of First Cup, told Adweek. "It's nice to get to control the Twitter [offer] for out here in the desert." So during the last half of 2013, Apodaca & Co. tested HipLogiq's SocialCompass in order to suss out relevant Twitter conversations. (They released the data results for the first time today.) 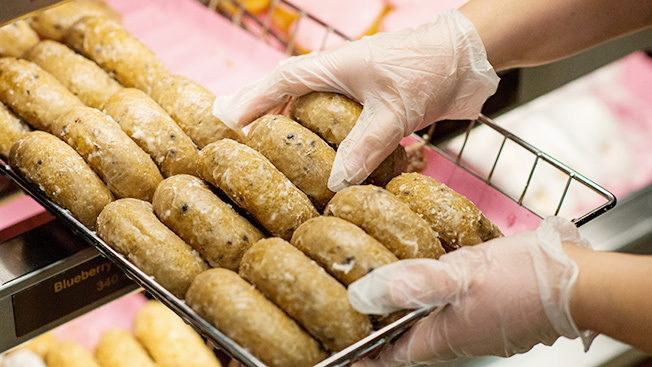 The franchisee used the handle @DunkinDonutsPHX, which has grown modestly to 2,160 followers. Via a search algorithm, the system found nearby people who were prime targets for a complimentary medium coffee—and "iced" was part of the pitch, of course. Essentially, local Twitter discussions of coffee and other Dunkin' products were zeroed in on with tweets directed at such consumers. It's a simple concept enabled by technology. The offer entailed a loss-leader coupon, meant to drive foot traffic to place orders beyond the beverage freebie. Apodaca said he wished his 54-location business had discovered the automation sooner. Getting social media messaging approved by Dunkin' Donuts headquarters can take weeks, he said. "Compared to other digital efforts," Apodaca added, "this allows us to react in real time." While his company's numbers won't make any big-brand marketers fall off their chairs, the stats suggest hope for targeted Twitter marketing at the local level. So far, so much of the focus around that giant social platform has centered on large companies. More than 1,480 customers were gained due to the increased awareness. "A lot of people in the valley know Dunkin', but there still are a lot of people who haven't tried us, particularly our specialty beverages and sandwiches," Apodaca added. "They didn't know we carried these items—they thought we were just coffee and donuts."